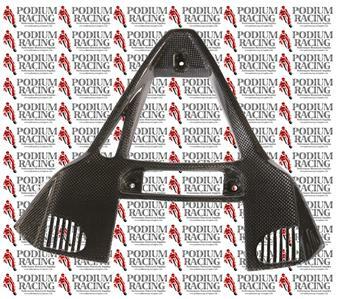 This auction is the carbon fiber “V” panel/cowl that is a direct replacement of the stock V cowl. This is a 100% carbon fiber part with a gloss UV resistant clear coat in a 2×2 plain weave pattern. 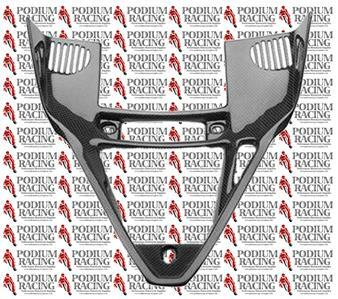 These are 100% carbon fiber made by autoclave technology, not fiber glass with a thin carbon layer. Don’t be fooled by cheaper parts with a GRP backing! If it doesn’t say that the part is 100% carbon fiber then it probably isn’t. We have many more carbon fiber parts and high strength corrosion resistance titanium nuts and bolts, to individualize your pride and joy. Check out or eBay store or ask us if you don’t find what you are looking for.